Oh. My. God. Becky. Look at that denim shirt. She wore it last week. She wore it the week before and she's wearing it again! 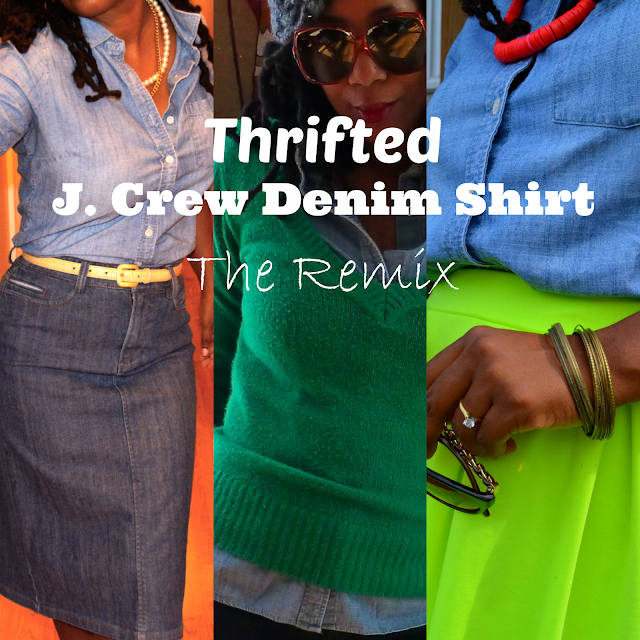 Yes Ladies, I am remixing the J. Crew perfect shirt once again! 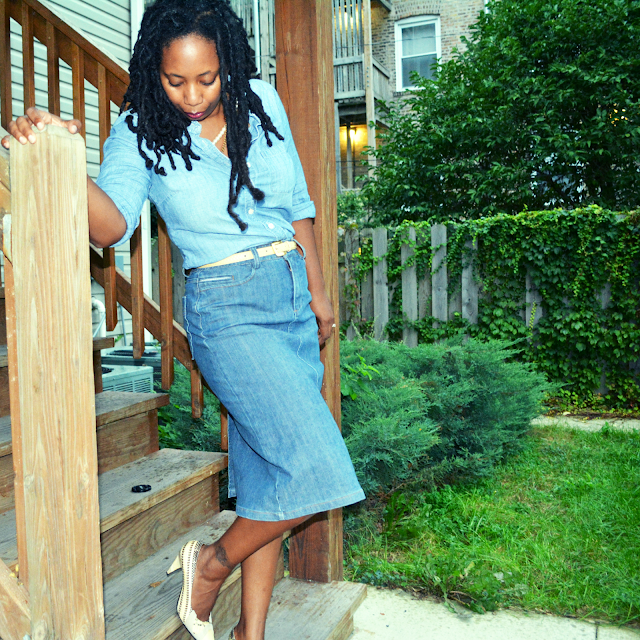 It just went so well with the denim pencil skirt and everything else I wore it with. 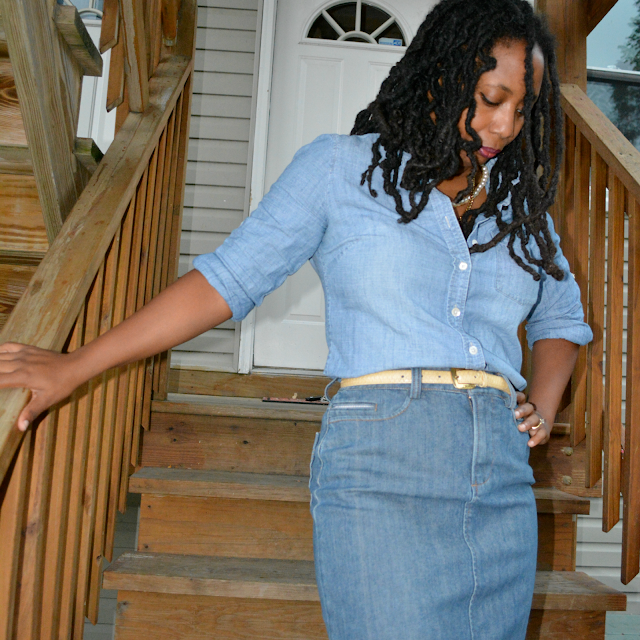 I'm not usually attracted to denim skirts but I loved the vintage look and high waist. As you know pencil skirts are a favorite of mine. I had another shoe thrift haul on Friday and picked up the snakeskin pumps along with a pair of panther print pumps and a fantastic pair of vintage leather boots. See them both on Instagram. Denim shirts are fruitful in thrift stores. Finding the perfect one requires patience. My suggestion is to grab every single one you can find in the store and try them all on. Don't forget to wear a tank. No dressing room required! J. Crew has many button-up shirts that are equally as awesome. Don't limit yourself to just denim. Grab them all. I'm sure they are just as perfect. You're winning if you find a denim shirt with sleeve tabs. You can wear it as a short sleeve or a long sleeve. If you're petite check the boys section. You may be able to find a close fitting shirt that will also fit your arm length and torso. I think denim on denim is either love or hate. If you're a fan, make sure your denim pieces are a different color otherwise you're wearing a denim suit. When in doubt, pair with white or colored denim. 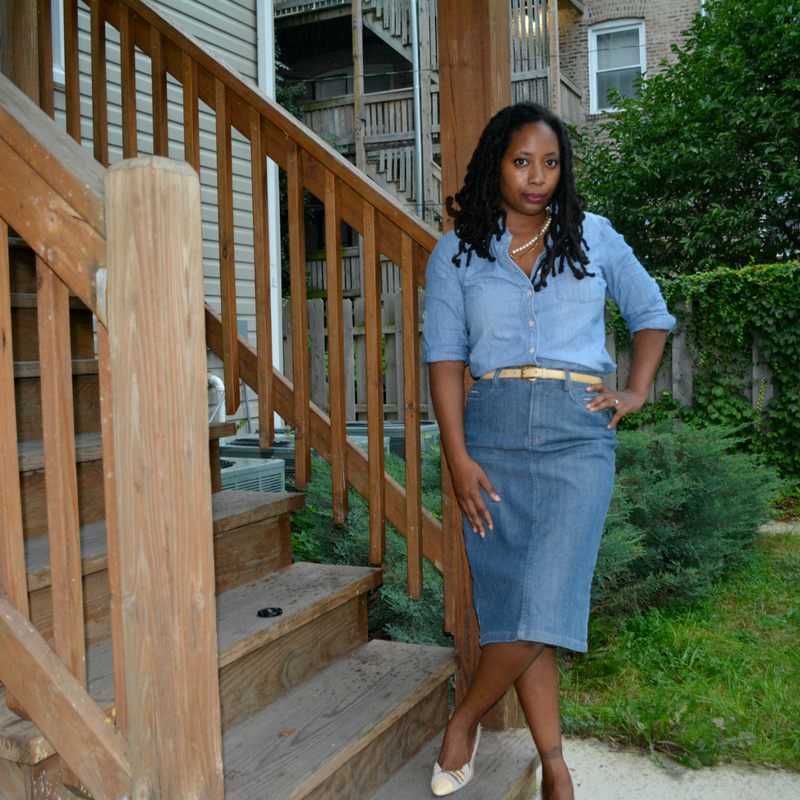 Denim shirt and a sequin skirt works. It's a great way to tone down the sparkle when you're just casually hanging out. Check out my Denim Shirt Pinterest board for inspiration but you can wear a denim shirt with anything! Seriously. Are you a J. Crew shirt fan? 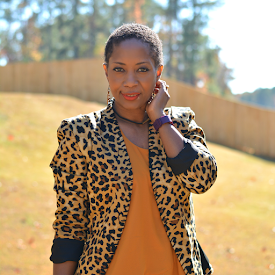 Sequins have been added to the Thriftanista Closet. Go check out the new addition! 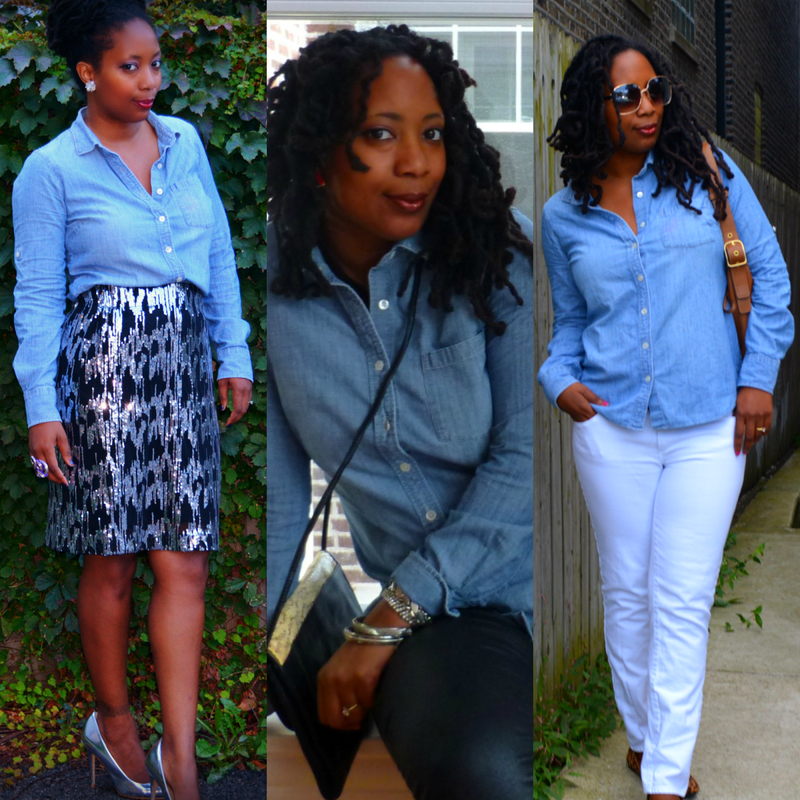 I need a new chambray shirt so bad! I can't find a plain old chambray shirt though. They are all embellished now. I want a plain, simple denim shirt. I love this mixed with a denim pencil skirt! I've not managed to thrift one. I love the silhouette it creates. I love pairing my white with denim. Lately I've been second guessing because you're not supposed to wear white after labor day....right?!?!? I guess since we're on the west coast we're good right? Cute! Really love the denim on denim look! Very fab! You know, I can never ever find a denim shirt in the thrift shop. I am hanging out to come to the States for my holiday soon and hopefully get one there. So excited. Thanks for this great post. Your denim on denim interpretation is amazing! It's so awesome! I want to wear it everyday! I hope you find a good one in the thrift streets! Of course! *cries* I want warm weather.